Ever wanted to taste Cambodian food in Singapore but find it difficult due to the lack of places? Don’t worry, because SPRMRKT Cambodia is bringing Cambodian cuisine to you. From now till 31 March 2019, you can enjoy an authentic Cambodian experience along Robertson Quay. Ranging from traditional street food to exquisite fine dining, be prepared to be transported onto the streets of Siem Reap, Cambodia, without splurging on air tickets! 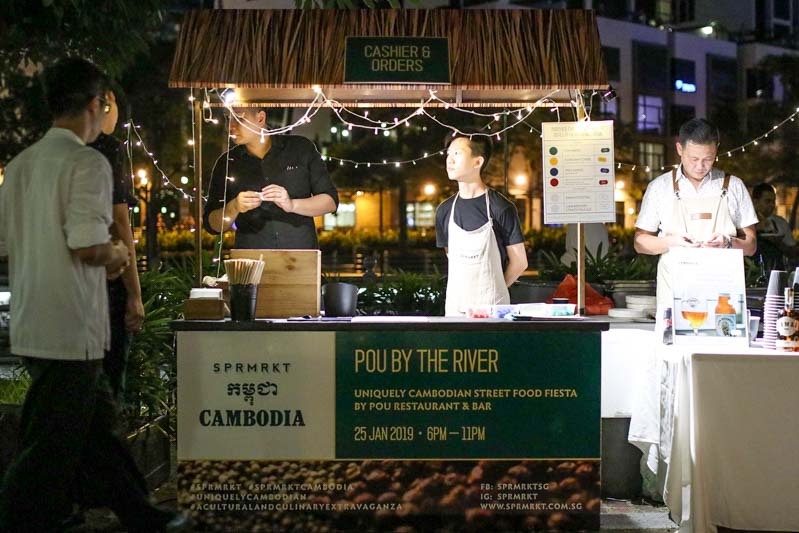 I was invited to one of the events, Pou By The River which happened on 25 January 2019, where I was treated to a Cambodian street food feast! I was recommended the Trey Aarng (S$16), which is a grilled mackerel dish. 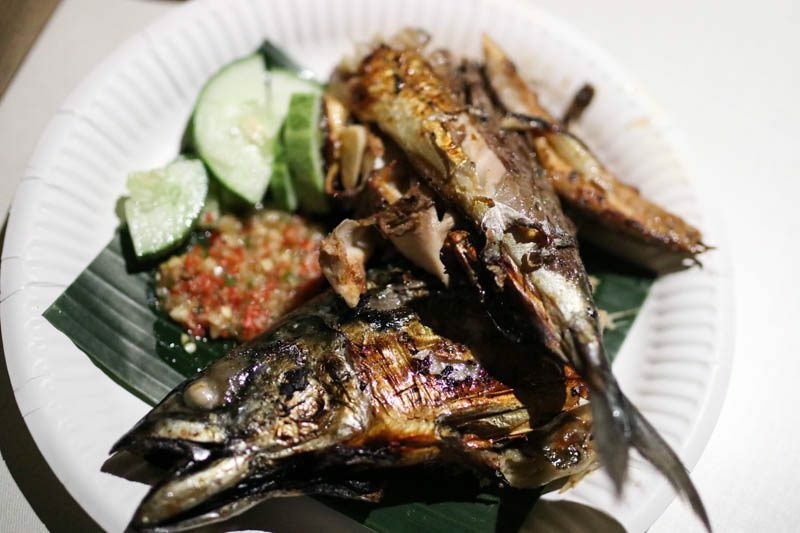 The taste of it is exactly similar to the Japanese dish Saba Shioyak with a hint of teriyaki flavour to it. It was grilled perfectly and we enjoyed every bit of it. Up next was Nam Banh Chok With Chicken Curry (S$10). It is a rice vermicelli dish garnished with beansprouts and corriander leaves, mixed with chicken curry. 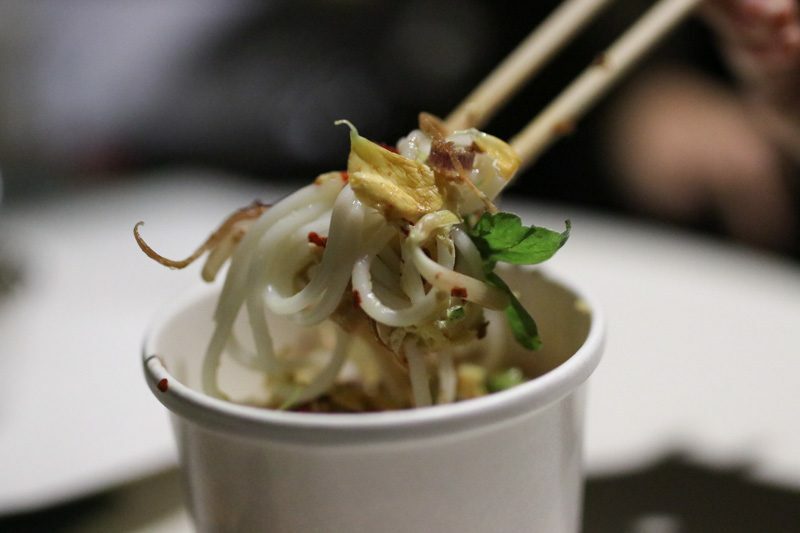 To draw comparisons to a local dish, it tasted like laksa with a thinner broth. Organised by EGBOK and Spoons, guest can indulge in a six-course Valentine’s Day set dinner. The highlights include Kor Ko Soup, which is a traditional Cambodian stirring stew with toasted IBIS rice and Sovannak palm sugar; and pan-seared duck breast glazed in a La Plantation Kampot peppercorn orange sauce. Dedicated to International Women’s Day, All-Girl, All-Khmer celebrates the empowerment of women in today’s society. Helmed by an all-women chef team, be treated to a seven-course gastronomic menu! Notable dishes include grilled duck on IBIS brown rice served with lemongrass and turmeric green kako sauce. Saving the best for last, here’s your chance to try dishes by renowned chef Joannès Rivière, the chef behind Cuisine Wat Damnak. Cuisine Wat Damnak is the only Cambodian restaurant to earn a spot on prestigious Asia’s 50 Best Restaurant List. Your tummy is definitely in good hands with chef Rivière around. SPRMRKT Cambodia will regale you with a plethora of delectable Cambodian cuisines and rich culture. So what are you waiting for? Grab your kakis and your family along for this exciting event!